Simple and Classy. Move over cuckoo clock. There's a new face in town! 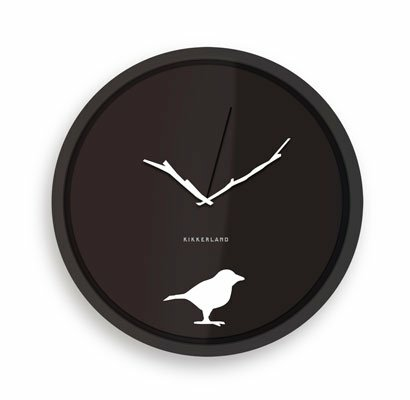 A fun touch for any room, this Early Bird Clock delights with branch shaped arms and a sleek design. Dimension: 8 in. x 8 in. x 1.5 in. Requires 1 AA battery (not included).